Sadly cinema industry doyen Maurice Scott passed away on Saturday after a long illness. He was arguably one of most respected and well known theatre managers of our time. He was also an excellent raconteur and ranks amongst the most entertaining speakers I have heard. Close friend Ross Campbell has prepared the following brief bio of the career of the late Maurice Scott. Maurice joined Hoyts in the early 1950s, having worked in the Mutual Store after leaving Melbourne High School. He was sent to the Broadway Camberwell theatre to train in management and was subsequently placed on their relief circuit. This included stints at the Regent Ballarat, the Prince of Wales in Hobart and the Princess in Launceston. Back in Victoria he was relief manager at the Victory St Kilda, Southern, Hampton, Hoyts Windsor and the Circle Preston. For some reason he was fired from the Southern Hampton on his return stint there. Sol Freeman, manager of the Metro Bourke Street, invited him in 1958 to become that theatre’s treasurer, then considered the bottom rung of the management ladder. He was soon promoted to manager of the Metro Drive-In at Clayton and thence to the Metro Malvern where Noel Ferrier was on the staff. In 1959 he became manager of the Metro Collins Street, considered Metro’s flagship cinema in Melbourne, although the top product was then being shown at Metro Bourke Street. Collins Street was Maurice’s long-held ambition; he remained there for eleven years, often playing host to visiting MGM celebrities including Vivien Leigh, Charlton Heston, Sue Lyon, Ann Miller and Fred Astaire. He won awards from the New York Head Office for managing the best-run Metro Theatre in the the Pacific Basin and was invited to Hollywood a number of times. By 1971 MGM was in dire straits and Maurice reluctantly left the company to manage the newly opened Bryson Cinema in Exhibition Street, which was successful for a time but eventually closed after difficulty in obtaining releases. 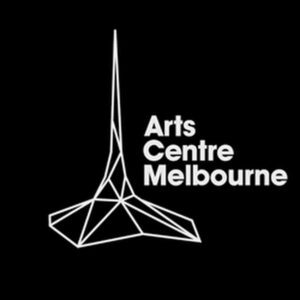 Maurice was invited by George Fairfax in 1983 to join the team at the newly constructed Arts Centre in St Kilda Road, interiors designed by John Truscott, and for eleven years was the highly respected manager of Melbourne’s most prestigious theatres, including the Concert Hall, now Hamer Hall. Maurice was a gifted pianist and for many years accompanied Gang Show performances at the Palais St Kilda. His knowledge of music and films was prodigious and encyclopedic. His finely honed skills as a raconteur and humorist were well known by Cinema Pioneers and CATHS members. After a long illness, Maurice passed away on Saturday 28th April, 2018. We send our sincere condolences to the family and friends of Maurice. No funeral details are available at this time.